Posted May 19, 2018 by Andrew Blair & filed under Features, News, Opinion. After Christopher H. Bidmead left Doctor Who, Anthony Root took the role on for three months in a trainee capacity. He developed scripts that Bidmead had commissioned, including one by Eric Saward. In the meantime, Root took on another three month contract for Juliet Bravo. Having impressed the outgoing Script Editor with The Visitation, Saward was given an initial three month contract which became permanent when Root stayed with Juliet Bravo. Saward stepped in at a good time. The initial turmoil on Season 19 had abated; a two month break in production for Davison’s filming commitments helped matters. He had a hand in editing scripts already commissioned by Bidmead and producer John Nathan-Turner. After a script by Christopher Priest fell through (in an argument with the JNT over payments for rewrites), Saward was asked to write the story that became Earthshock. This was very well received, with an action packed script realised extremely well by director Peter Grimwade. Saward was another Script Editor who tried to unearth new writers, and did so with mixed success (it was Saward who brought Barbara Clegg on board for the excellent Enlightenment). He considered using writers from earlier in the show’s history, but this was initially vetoed by John Nathan-Turner. 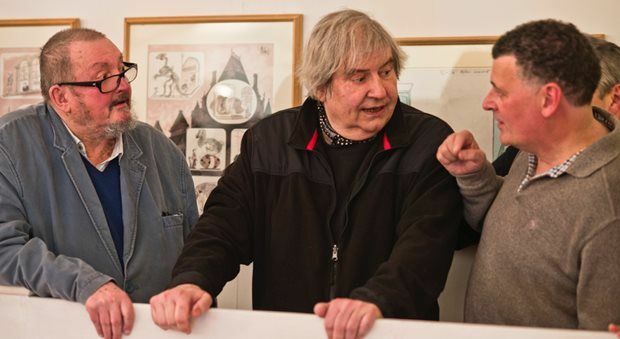 JNT was also inclined to impose story requirements on writers, with fan advisor Ian Levine also making suggestions that delved back into the show’s history. Thus, when Johnny Byrne was commissioned for Season 20 (with Saward unaware that his previous script had been heavily rewritten), he was told he needed to incorporate the return of a companion, set it both in Amsterdam and on Gallifrey, and change the villain to Omega – a fallen Time Lord who had only been seen once a decade earlier. The first Doctor Who video was released in 1983, and Target novelisations allowed fans to revisit earlier stories. However, with the show attempting more continuity references than ever before, those writing sequels were given the old stories to watch; and yet mistakes still crept (or occasionally bulldozed) their way through while the show was targeting the only people likely to notice. While this audience limiting focus was largely not Saward’s responsibility, he did make Doctor Who increasingly brutal. Warriors of the Deep was an attempt to directly replicate Earthshock’s success, using the Silurians and Sea Devils from the Pertwee era. However, one thing that must be noted about Earthshock is that the Cybermen do not need to be in it for any reason other than their surprise return. It would unfold in exactly the same way with Ice Warriors or Sontarans. Warriors of the Deep could, equally, have any generic monster involved. It was also rewritten in the author’s absence with more characters killed in the final draft. Saward’s Resurrection of the Daleks script also features the deaths of most of the guest cast, with the Doctor responsible for some of the slaughter. The intent was to show a crueller universe, with a more vulnerable Doctor facing greater consequences. This built towards Peter Davison’s final story, The Caves of Androzani. 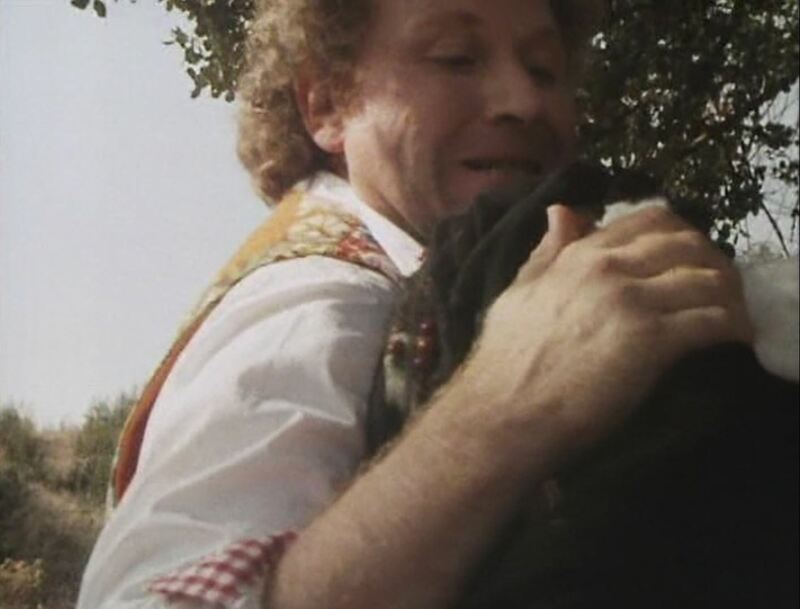 Here Saward finally got a pre-JNT writer to contribute, with the Doctor reacting against all the violence he’s allowed to happen by sacrificing his life to save his new companion. 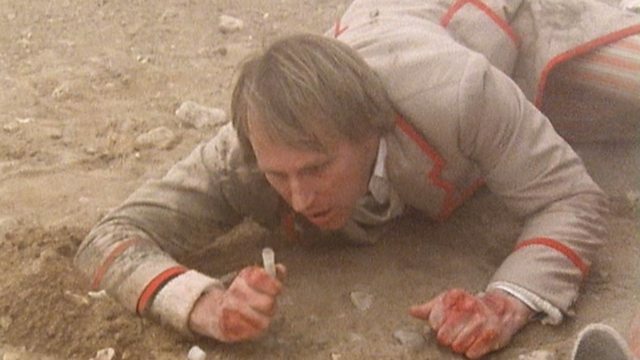 It was a redemptive and thematically satisfying ending to the Fifth Doctor’s adventures. However stories like Earthshock and Resurrection of the Daleks were popular with fans, and Saward was a huge fan of Caves of Androzani writer Robert Holmes. Philip Martin had been developing a story since 1983, which also fed into Saward’s increasing fondness for bleak and violent stories. Holmes and Martin fed into this with satires while Saward contributed dark action-packed stories involving the Daleks and Cybermen. Colin Baker’s Sixth Doctor’s characterisation, intended by the actor to be something similar to Benedict Cumberbatch’s Sherlock Holmes and by the producer to be like Mr Darcy, was given stories still set in the bleak and cynical universe of the Fifth Doctor. Despite there being a natural stopping point for this tone, it ramped up. With the Doctor now a strident and unlikeable figure, it was no longer his vulnerability contributing to the violence. The character was simply a violent person. Saward was finding working with John Nathan-Turner increasingly hard. The producer recommended writers such as Terrance Dudley and Anthony Steven who Saward found it difficult to work with. The Script Editor worked from home increasingly often, unhappy with the producer’s choices for casting and directors, and his continued courting of the American market at the expense of focussing on making the show. The Script Editor also disagreed with JNT over the casting of Colin Baker and the producer’s input into storytelling. This continued while Saward struggled to find new writers, and struggled to adapt to a change of format: for Season 22 episodes were 45 minutes long rather than 25. Doctor Who was cancelled by the BBC towards the end of Season 22, with falling viewing figures and viewer complaints about violence offered as reasons. While fan pressure led to a reprieve, the BBC management offered no suggestions on how to fix the problems they had with Doctor Who. Saward was put into a high pressure situation and given only 14 episodes to work with. The solution the production team decided upon was to make the season into one long story, and reflect the programme’s situation by having the Doctor on trial by his own race. A number of scripts fell through, leaving Saward with no option but to commission writers he didn’t especially like but knew could deliver a full script in time. Robert Holmes passed away during the production, having been due to write the final two episodes, only for John Nathan-Turner to get cold feet about the proposed Reichenbach Falls style ending. Saward had had enough, and left the show. Over five series Saward had tried to turn Doctor Who into a tougher, more cynical show with bouts of dark whimsy. This was incompatible with what JNT wanted. His producer wanted less humour and no suggestion of camp or hanky-panky, yet insisted companions wear skimpy clothes and cast actors such as Beryl Reid in the role of hard-bitten space freighter captains. As with previous Script Editors, Saward struggled to find new writers. John Nathan-Turner managed to put off writers from Doctor Who, but so did Saward: his redrafts frequently added in scenes of arguing to pad out episodes, scenes of violence and/or extra deaths. Some writers took issue with this. Furthermore, Saward was clearly influenced by the work of two of his predecessors: Douglas Adams and Robert Holmes. Unfortunately he was not a good enough writer to pull off stories in their styles (the recent Dalek history hardback contains a short story by Saward that feels like it’s meant to be in the style of Douglas Adams, but is reminiscent of old Doctor Who annuals, in that it’s extremely weird and doesn’t seem to have been written by someone who has ever watched Doctor Who), compounded by a production style that didn’t lend itself to these anyway. As with Adams, the process of hiring a script editor based on their predecessor liking one of their scripts backfired – this isn’t entirely unexpected given their minimal experience of the role and a vision for the show that seemed incompatible with the way it was made. Doctor Who was old. The BBC had not invested thought or money in it, leading to a situation where largely untried writers were flung into a nigh-on impossible job. As a result of Saward’s resignation, the show ended up in a Reichenbach Falls situation anyway. It wasn’t clear if it was coming back….